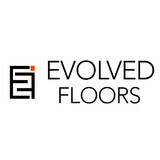 Evolved Floors. We specialise in the supply & installation of affordable high quality flooring. The company was established in 2014 on the Gold Coast, after being in the flooring industry for over 45 years. Our flooring design centre showroom is located in Molendinar, on the Gold Coast where you can come in and find the best flooring solutions, and where our friendly Sales Representatives will help you make the right decision. Yarn and Loom Rugs is a boutique dealer specialising in quality designer, contemporary and transitional handmade woolen rugs. Our large collection of quality rugs will leave you inspired for your current or upcoming projects. Yarn and Loom Rugs believe in preserving the age-old method of rug making by hand. Therefore, all of our products; whether hand-knotted, hand-loomed, hand-tufted or hand-woven - are all hand-made. At Yarn and Loom Rugs, we believe that a key ingredient to a beautiful rug is natural, non-synthetic fibres. 100% New Zealand Wool, Bamboo Silk, Jute and even Hemp - it's all natural with Yarn and Loom Rugs. Austral Cleaning Services Brisbane has better experience and a professionally trained team who will deliver to a very high standard in all aspects of cleaning. We specialize in Brisbane Domestic Cleaning, Commercial Cleaning, Event Cleaning Brisbane, Construction Cleaning Brisbane, Bond Cleaning Brisbane, Emergency Cleaning Brisbane, Floor Polishing/Steam Cleaning Brisbane, Industrial Cleaning Brisbane, Carpet Cleaning Brisbane, Pest Control and Pressure Cleaning for Brisbane residents and businesses. Whether you need your house spring cleaned, your offices cleaned on a regular basis or a one off visit, or if you need that real estate bond back, if your moving in/out, a thorough car clean is in order, a pressure steam on pretty much any surface, pest control, party clean ups after a messy one. We cover all of these areas and much more which you can find in more detail throughout the other pages on our website. Austral Cleaning serves as an excellent career booster for its franchisees. It is one of the best investment program that suits today’s economy especially with its low franchising fee. Our franchise owners have earned enormous reputation across Australia for their outstanding givers, can-doers, professional and proactive individuals. They truly represent Austral Cleaning with pride. Being part of our amazing team is something that any entrepreneur can be proud of. We cover all of Brisbane, Gold Coast and Melbourne, you can contact us via email or phone and we will happy to provide our professional services with a smile to give you the results you are looking for at extremely reasonable prices. All of our prices include GST, all labour charges, and equipment & material costs. We are a fully licensed company with a public liability policy so any minor let downs on a job we will send our team back out to you within 48 hours free of charge. 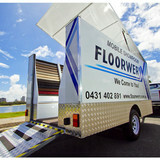 Floorwerx is the way busy people buy flooring here on the Gold Coast. We are the only flooring company that comes to you with a complete walk-in mobile showroom with over 200 samples of carpet for the Gold Coast. Buying new flooring changes the total look and feel of your home. It’s an investment, so treat yourself to a better service. You’ll thank yourself for it. Budget Floor Sanding Brisbane have been helping home owners transform their tired and worn timber floors for over 25 years. We service Brisbane southside, Northside, Eastern and Western suburbs. We have extensive experience in all aspects of Timber Floor Sanding and Floor Polishing including Timber Floor Installation. 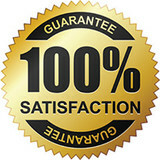 We have a highly respected reputation based on quality workmanship, attention to detail, punctual and reliable service. ( Check out our high ranking reviews on our Google plus page. We have over twenty floor sanding reviews ) The repeat business that we receive from home owners, builders, architects and real estates is testament to our high standards. For Brisbane's best floor sanders, contact Budget Floor Sanding Brisbane. We offer quality floor sanding and polishing workmanship at competitive prices using the industries most trusted products. So if your timber floors are looking scratched, scuffed, faded and damaged and can do with a refresh, call Glenn and let us renovate your existing timber floors. The stylish transformation will make a significant difference to your wooden floors and your homes ambiance, adding value to your property and setting it apart from others. At Carpet One Helensvale our customers have told us they choose us over other retail flooring companies because we “Listen” we make sure you really are getting the product/s that you want on your floor. We help and guide you in understanding the specifications and guarantees of your product of choice so your final decision is well informed with no surprises..
Nulook Floors specialise in turning ordinary looking concrete into the extraordinary with their revolutionary Nu Flake epoxy flooring system. Nulook Floors expertise is in epoxy garage flooring; although we do apply the NuLook epoxy flooring system to numerous concrete floors. Ranging from coffee shop floors, patio flooring, retail shop floors, industrial flooring and many more. Come Visit our showrooms in Gold Coast, Melbourne and Ipswich. Acoustic Flooring is a new and innovative acoustic flooring system. We assist in reducing Impact Noise Pollution. 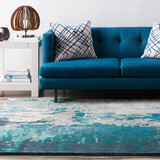 Ozrugs.com Find the perfect area rugs for every room in your home at Ozrugs, the leading source for area rugs in Australia. Naptime has combined cutting edge materials and technology to produce the comfiest, coolest and most supportive memory foam mattress, Bed Bases, Bed Frames & Matress Toppers available for Single, Double, King Size & Queen Size. We recently opened a brand new floor covering design centre in Newstead. I have been in the floor covering industry for 14 years (since I was 17), and have worked in a variety showrooms throughout Queensland before opening our own here in Newstead. In that time, I have worked with numerous builders and designers to create flooring concepts which leave our customers absolutely thrilled with their new look. My much better half, and business partner Jessica has been working in the industry for almost 2 years, and has an extensive back ground as a successful real estate agent and property manager, her attention to detail, organisation, and interpersonal skills are second to none and I credit her with a great deal of our success. Flooring Xtra is one of the most exciting Australian flooring brands in our industry, and we are looking to forge new long standing business built on like-minded customer focused relationships. True custom design is more than just changing a colour or adding a bit of tat to an existing design. True custom design is about creating something as unique and individual as you are. It’s an organic process that starts with a kernel of imagination and ends with the flowering of a masterpiece. At Artistic Flooring we don’t tweak a library stock design and call it custom. We work with you to create a design found no where else in the world. If you have your own design in mind – we’ll turn it into your new carpet. And if you’re stuck at a creative road block, our experienced designers will work with you to create a unique design that reflects your artistic vision. Carpet dealers in Palm Beach, QLD, AU help homeowners choose the correct carpet covering for their floors, and also assist with carpet maintenance. This includes determining factors like material, carpet pile, durability, color and size, as well as helping with any custom carpet design. After completing the initial installation (which includes removal of the old flooring, if applicable, and surface prep), they may also handle follow-up maintenance requests such as carpet cleaning, carpet repair and carpet stretching. Carpet dealers might work closely with Queensland contractors, interior designers and others in the home building and home improvement industry. Here are some related professionals and vendors to complement the work of carpet dealers: Interior Designers & Decorators, Design-Build Firms, Specialty Contractors, General Contractors, Home Builders. Do you complete in-home evaluations first? Do you offer financing options? When can this job be completed? Find a carpet dealer on Houzz. Narrow your search in the Professionals section of the website to carpet dealers in Palm Beach, QLD, AU, and read reviews and ratings for pros in your area.